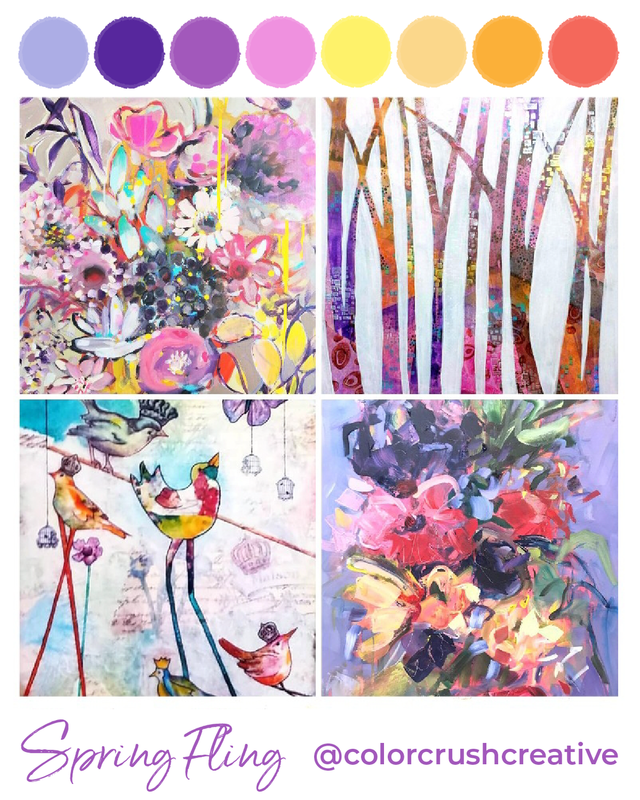 This two day event will open a floodgate of exciting new methods for creating mixed media abstract artwork. 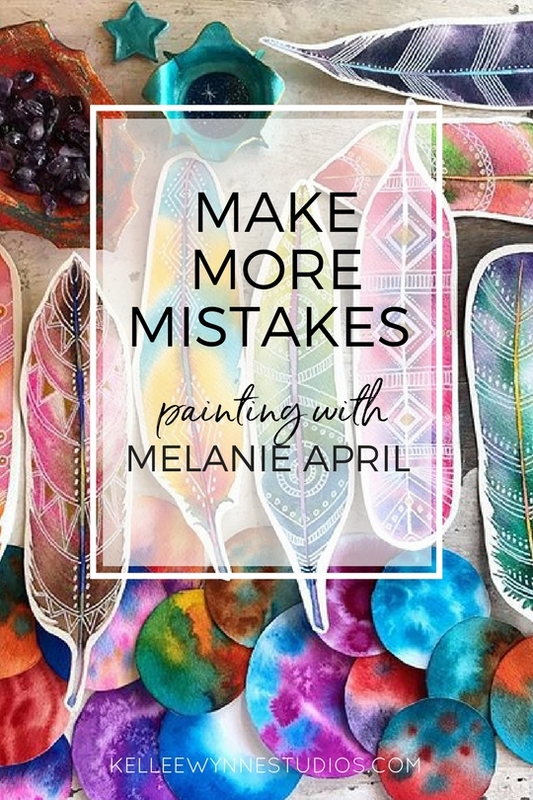 Join Kellee Wynne as she shares all the secrets to her layered method of acrylic painting on paper. 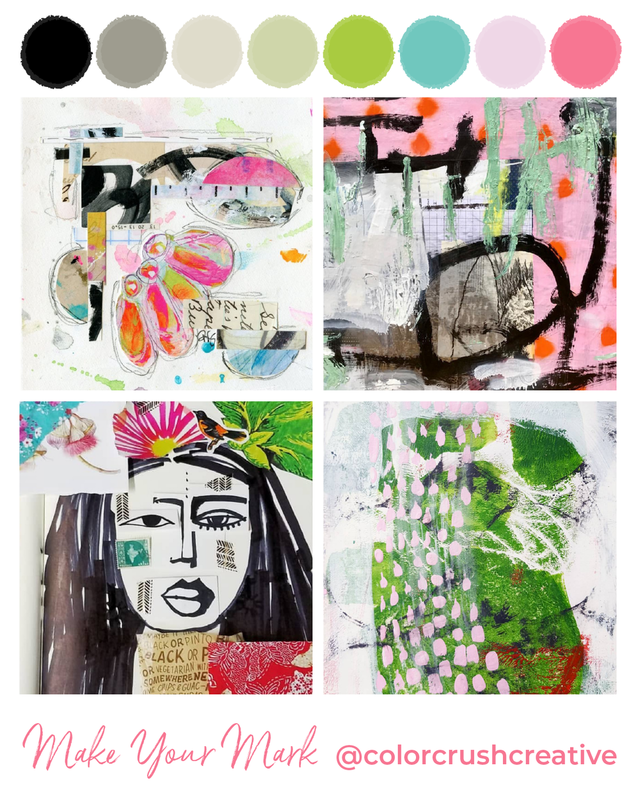 From spray paint to collage and mark making to stencils, this class has it all, including foundation work in color, composition and design. We will learn how to turn your play into a completed work of art. 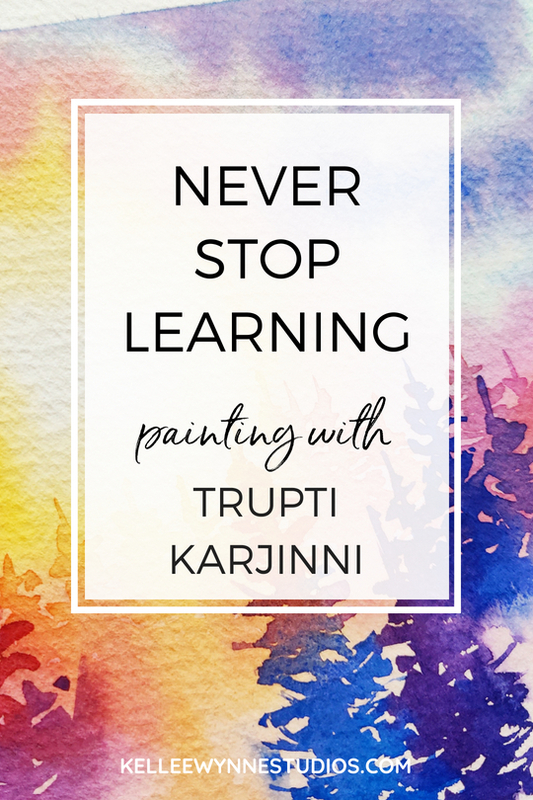 Everything you learn in Technique Tsunami can stand on its own to create new paintings, add new ideas to your personal artwork or bring new life to your personal art journal. 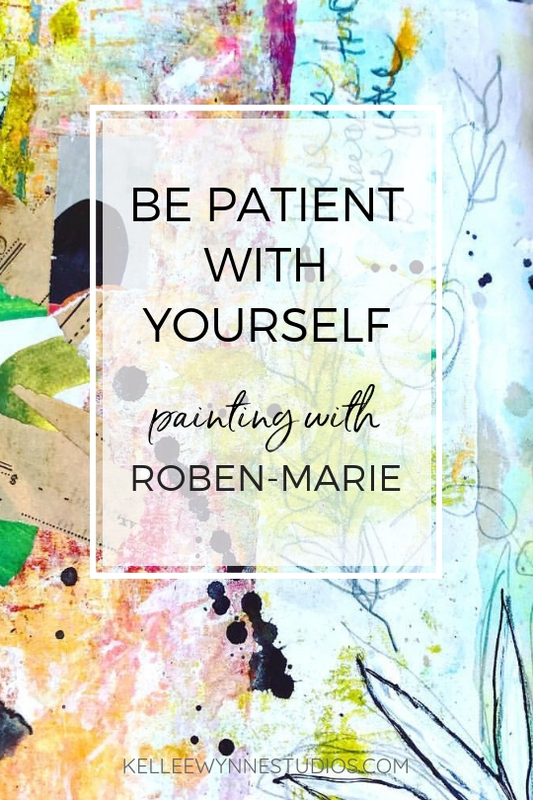 Don’t get bogged down in your old routine, let’s shake things up with paint, paper and play! ara Aina went to art school earning a BFA in Intaglio and Lithography. Afterwards she focused on her family and career as an art teacher and did not prioritize her own art. 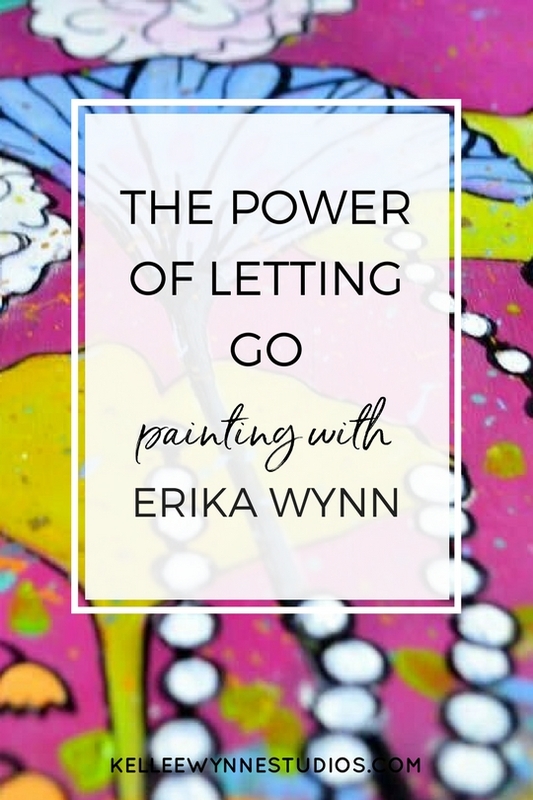 She often told herself that it wasn’t her “season” to devote time to her art and that it felt “selfish” to deprive her family of the time and resources it would take for her to pursue it. Nothing could have been further from the truth. Through a series of events Kara realized that she was not doing anything to replenish herself. 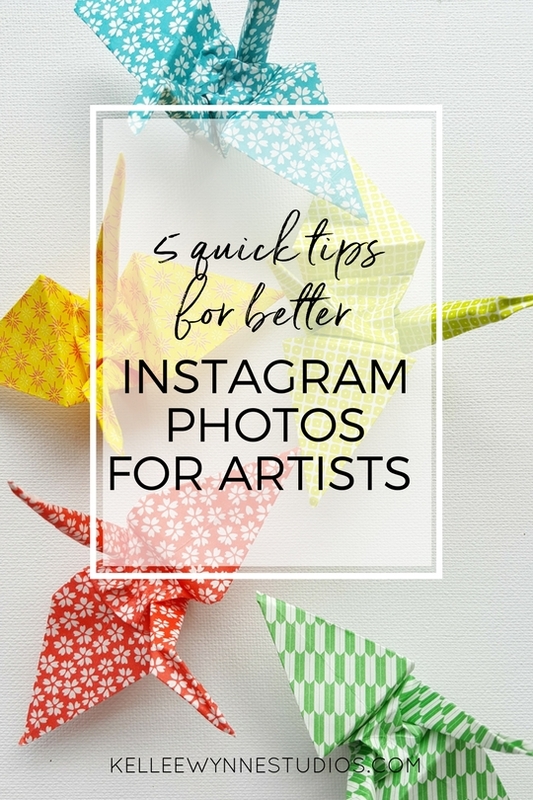 She came to the realization that prioritizing art was essential to her well-being and happiness and thus, that of her family as well. 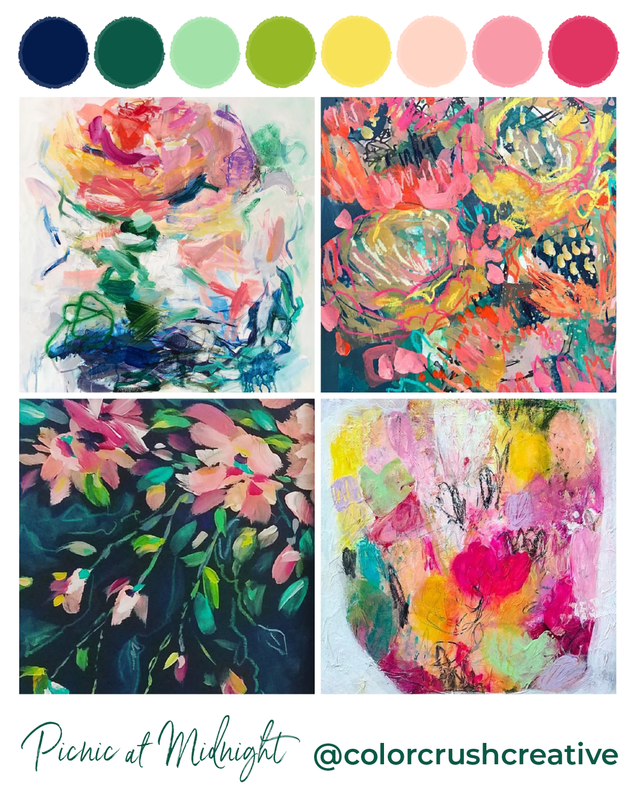 Introducing “True Colors”, a new series of painting courses designed by Kellee Wynne Studios to help any artist learn the foundation of acrylic painting while still having fun. Let’s build confidence while finding your true style in an easy, relaxed setting. 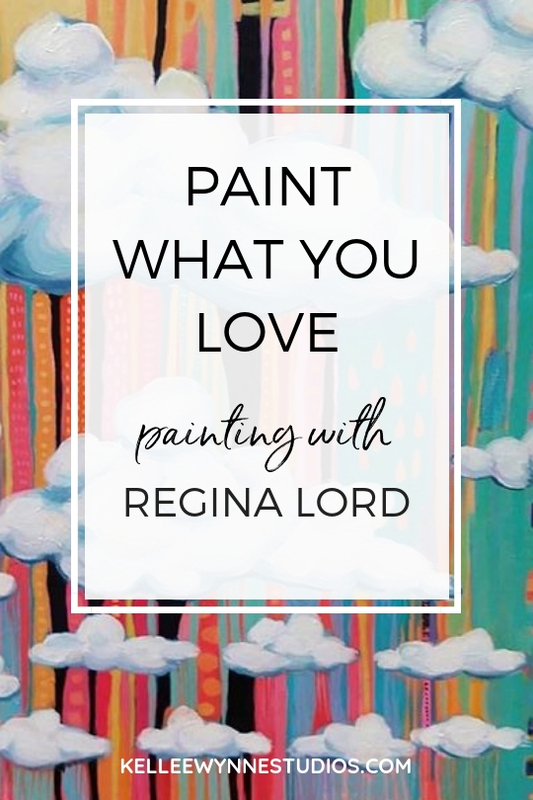 By painting in an abstract manner, you can approach the canvas with the confidence of knowing that anything goes when you’re creating loose and free. 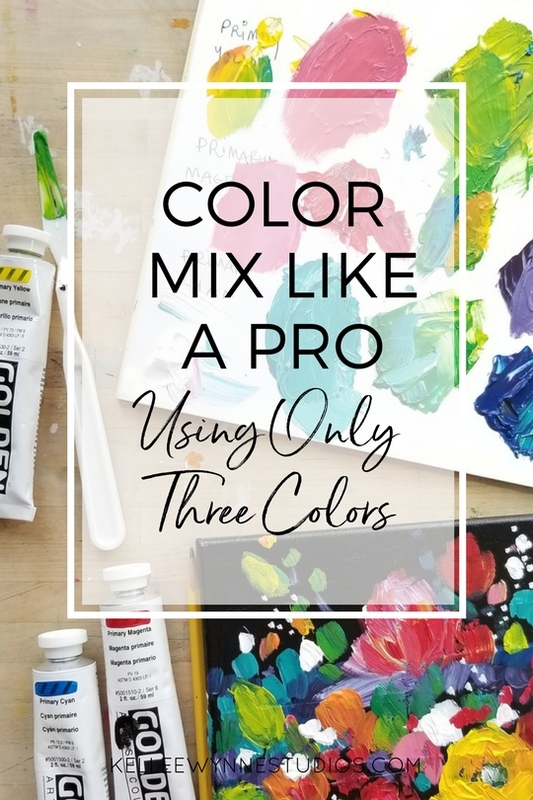 Yes, it's true, mix like a pro using just three colors plus white! Over the years I have found myself naturally limiting my palette as I mix my own colors more often. Narrowing my palette to my few favorite colors like Quinacridone Magenta, Hansa Yellow medium, Green-Gold, Turquoise, Payne's Grey and Permanent Violet hue - all by Golden Acrylic Paints - I have found I simply just don't need every color. 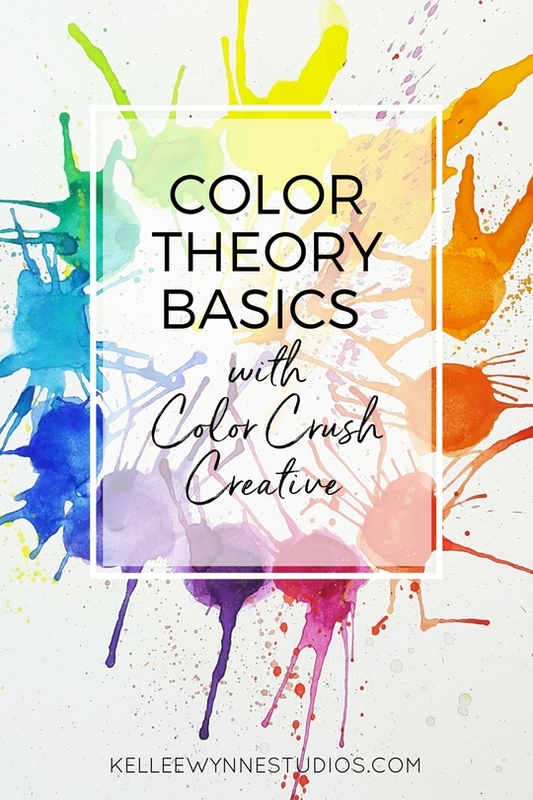 And with the growth of Color Crush Creative, I have been even more aware of color mixing and how to arrive at the desired colors for each palette. But this learning play with just three colors has brought color mixing to a new level. "Queen of Hearts", a full day mixed media class with Kellee Wynne Studios. 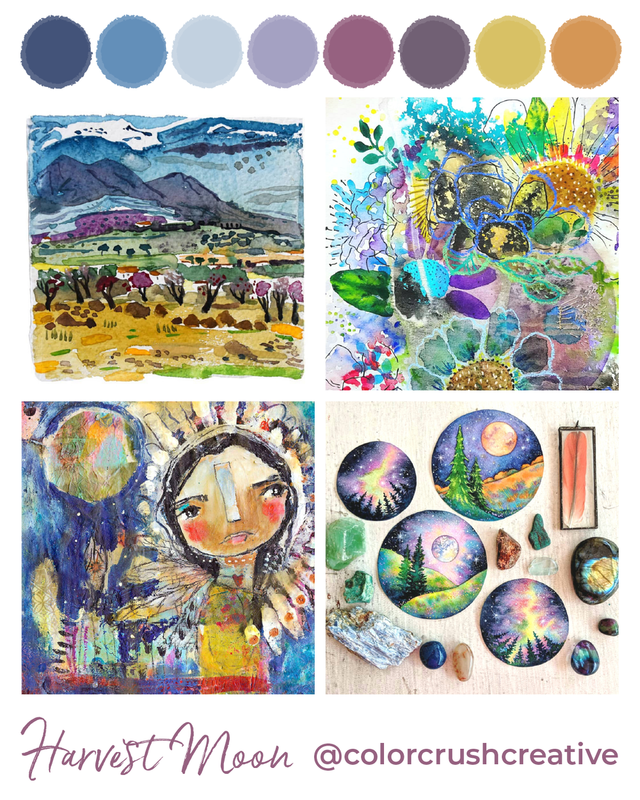 This technique immersive class is a way to experiment with all your creative ideas in one project. 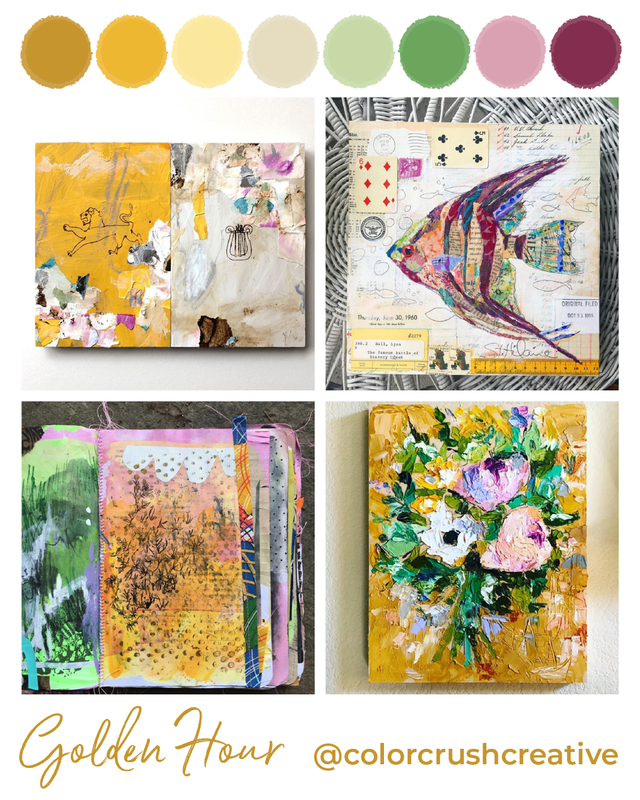 Join Kellee in creating your own inspiration deck of cards. We will be exploring extensive collage and painting techniques on a small scale by focusing on a deck of cards as our foundation and using motivational words and quotes to give our creative selves a boost for 2018. 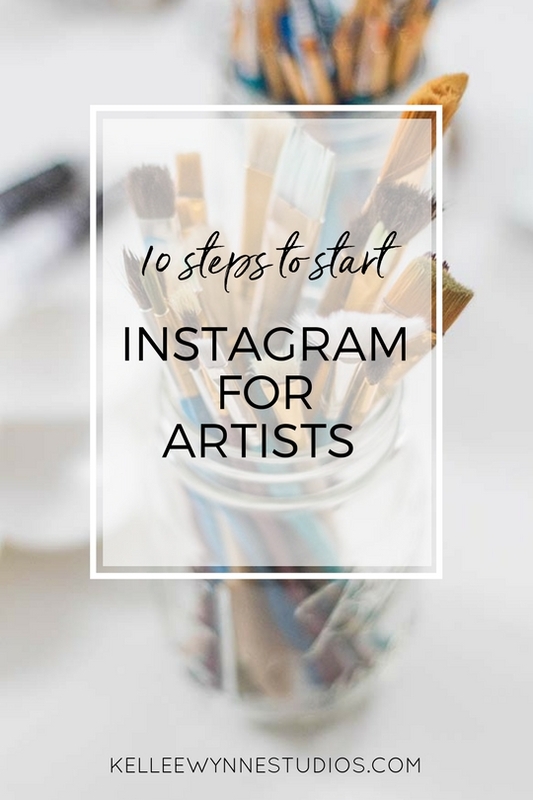 We will start with playing with paint on a deck of cards, learning how to add texture, color and composition to collage images, add hand drawn details and learn a few new painting tricks that you can apply to future projects. We will finish with painting a paper mache book box to store all our art cards in.